Rejan C. McCaskill, MD FACP is a Board-Certified Internal Medicine Physician. 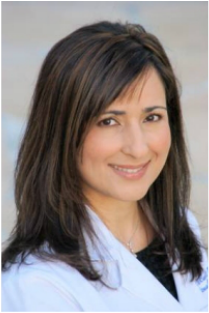 She received her medical degree from the University of California, Irvine in 1999, and completed her Internal Medicine Residency training at the Providence Portland Medical Center in Oregon. Dr. McCaskill is a diplomate of the American Board of Internal Medicine. She keeps up to date by attending continuing medical education activities regularly and strives to practice evidence based medicine. She was elected to be a Fellow by American College of Physicians (FACP) as a recognition of her ongoing individual service and contributions to the practice of medicine. Dr. McCaskill is a member of the American College of Physicians, Orange County Medical Association, and California Medical Association. Outside the office, Dr. McCaskill loves to spend time with her wonderful husband and two amazing children. She enjoys reading, traveling, and being outdoors. Dr. McCaskill is looking forward to meeting you and working with you to reach your health goals.